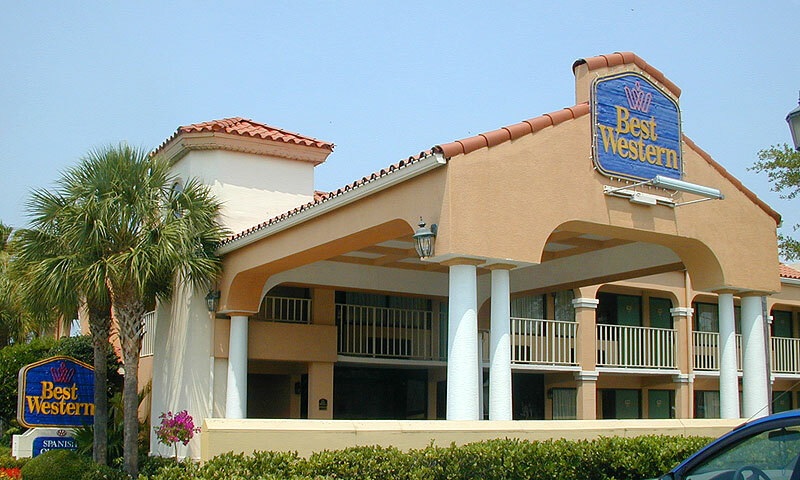 Located in historic downtown St. Augustine, Best Western Spanish Quarter offers 40 attractive and artfully decorated rooms with great amenities.The convenient location is just steps away from many downtown restaurants, shops, and attractions such as the Ripley Museum, Mission Nombre de Dios, and the Fountain of Youth. 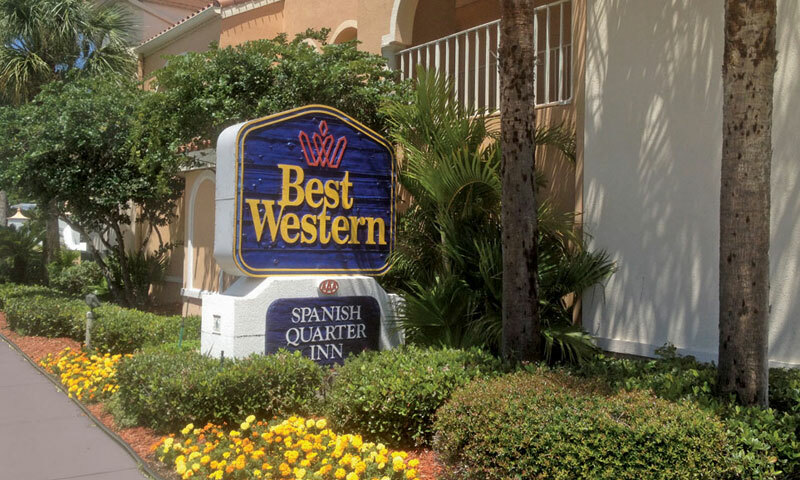 Best Western Spanish Quarter offers bedrooms with king-sized and queen-sized beds. 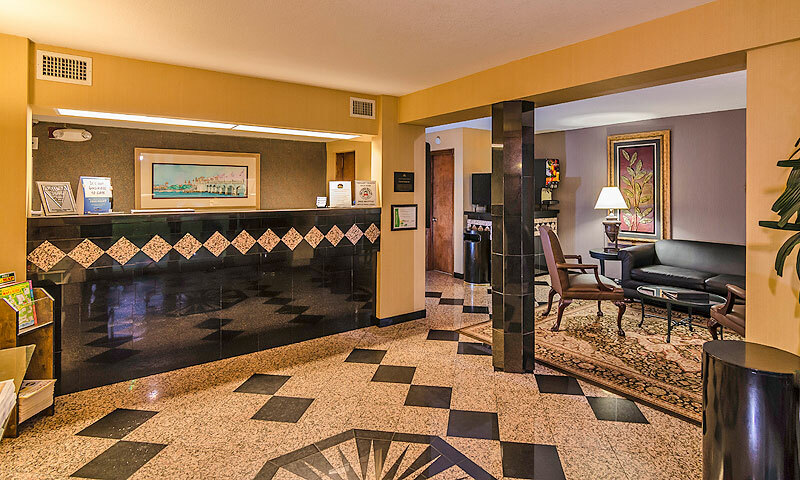 Great amenities include free wireless Internet access, on-site parking, cable satellite TV, complimentary continental breakfast, pool, a hot tub and more. You can also enjoy their laundry and business services at the Best Western Spanish Quarter. 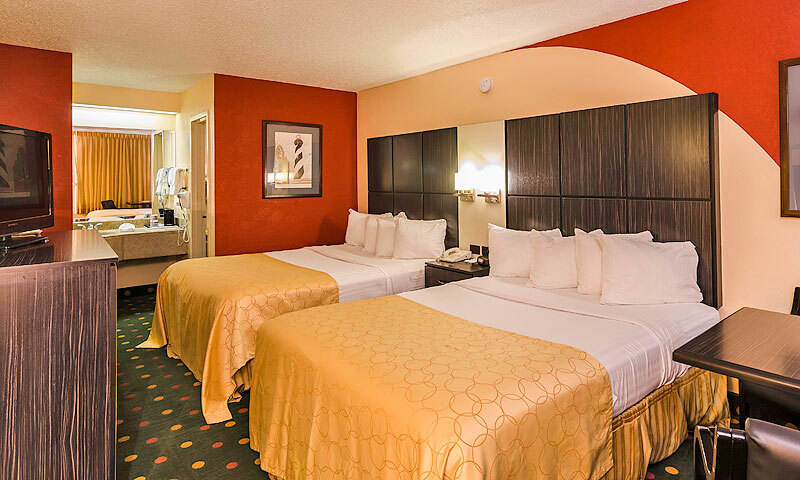 Stay at the Best Western Spanish Quarter in the heart of historic downtown on your next trip to Saint Augustine, Florida. With AAA 2 diamond award this hotel is sure to meet your needs with quality service! Amenities: Outdoor pool and hot tub, free internet access, on-site parking, complimentary continental breakfast, cable television, coffee maker, microwave available, refrigerator available, hairdryer, iron and ironing board. Guests can purchase attractions tickets and tickets for Old Town Trolley Tours at the front desk. Laundry and business services available. Check-In at 3 p.m. Check-In at 11 a.m.
Keep in mind that you are paying for the name 'St Augustine'. In Ontario, we stayed in a double SUITE with free laundry, in hotel store etc with a great breakfast. For the same price here, we got a room right next to the pool after requesting that we NOT be put by the pool (in my reservation). They did manage to put me on the first floor as I can't climb stairs due to health issues. The mgr at the front desk was nice but kept trying to sell us trolley tickets. Our room was supposed to have a refrigerator. Not. Not even a microwave to make popcorn. All they have is a soda machine near the pool. We were going to have a quick breakfast here this morning but as soon as we walked into the breakfast room, all you could do is smell burnt toast or someting. The breakfast area was the size or our room and they didn't have anything that looked edible. We went down the road to Dunkin Donuts instead. The bathroom is so tiny you have literally three inches between the toilet paper and toilet. Can barely close the door. We booked with AAA but they had it down as something else and we had to pay $5 per night to park and still couldn't get a space near our room. I will think twice before paying the high price to stay here again.